This vintage gear lends the feel of an old-school racing legend. Keep your Avatar-head on your Avatar-shoulders. Always carry a spare – just wear this. Keep a good grip on the wheel, and drift around corners with ease! Give your Avatar something to do when away from the track. Let loose your Avatar’s inner daredevil! Disguise your Avatar as a walking, talking traffic cone. Represent! 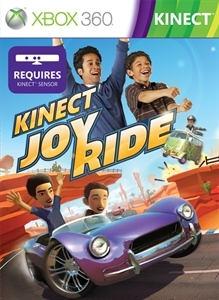 This fiery piece of fashion is the official Kinect Joy Ride baseball cap. Blast past your friends and show them the back of this snazzy crash helmet.